A section of Baal HaSulam’s article “The Acting Intelligence” with commentary. In the science of Kabbalah the thought is the intention. In a regular life thought belongs to the considerations made by the desire to receive in order to receive. A thought is that which you want to do with your desire. The activation of the desire according to an egoistic or altruistic plan, no matter which, is called “thought.” A thought that is clarified regarding its source, meaning for whom is it intended—you or the Creator—is called intention. The intention we are studying cannot be like every other intention of our world. Intention is a thought analyzed in the spiritual work. The hardest part is to maintain the intention. That is what requires the most effort. It is hidden and not felt. It doesn’t express itself in any way and great efforts are needed to hold on to it. It is always necessary to check and to find out that it is still there. The recognition of evil relates to focusing our intention, as expressed in “get away from evil and do good” (Psalms, 34:15). All is in relation to the intention. We have to constantly awaken the importance of the intention over all the other activities and inner processes. We have to identify with and connect to the intention, not the action, matter, or anything else. This shows that a person is in the spiritual in his or her work, and is on the path. In the beginning, Rabbi Elazar began by saying, “Lift up your eyes on high and see. Who has created these things?” Lift up your eyes. To what place? To the place where all eyes depend on Him. And who is He that created these things? He is the opening of the eyes. And you should know that this is the concealed Atik where lies the question: Who has created these? And who (ed. “who” in Hebrew is “Mi,” and will be referred to as such herein) is He? He is called from the extremity of heaven on high, as everything belongs to Him. The question arises because of Him, and He is concealed. He is called Mi because beyond Him there lies no question. Thus, the extremity of heaven is called Mi. Item 7 from the Introduction to the Sulam Commentary to the Book of Zohar. What is the attribute of mercy? Our sages defined it as: “what’s mine is yours and what’s your is yours.” And if all the people in the world were to behave that way, it would cancel all the glory of the attribute of truth and judgment, because if each and everyone would be naturally willing to give everything he has to his fellow man and take nothing of another for himself, then the whole interest in lying to one another would disappear, and there would be no room to speak of the attribute of truth whatsoever, because true and false are relative – and if there were no falsehood in the world, there would be no concept of truth. Needless to say that the other attributes that are there only to strengthen the attribute of truth because of its weakness, would also be cancelled. 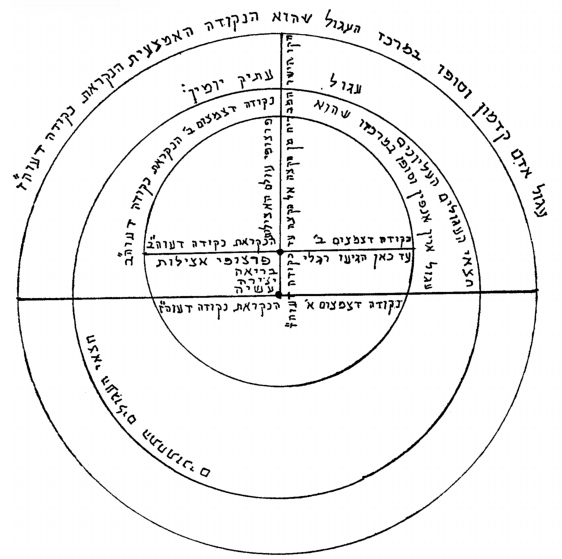 Baal HaSulam, Peace in the World. Following are some quotes of prominent Kabbalists to help inspire you during your day or before you go to sleep. Read them one at a time, then contemplate. There is no rush; these quotes work best when you think about them for a while. pp. 193-4, part “Kabbalah and Your Life,” chapter “Correction Is a Matter of Intention” in The Complete Idiot’s Guide to Kabbalah by Rav Michael Laitman, PhD with Collin Canright.